For researchers already familiar with biomass conversion technologies and for professionals in other fields, such as agriculture, food, and chemical industries, here is a comprehensive review of the emerging biorefinery industry. 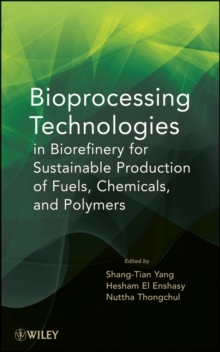 The book's content has been conveniently organized according to technologies (biomass feedstock and pretreatment, hydrolytic enzymes in biorefinery, and biofuels), with each chapter highlighting an important biobased industrial product. For undergraduate and graduate students, the book is a thorough introduction to biorefinery technologies.